The dome on the Pennsylvania State Capitol building is lit up as dusk falls on Monday, Aug. 13, 2018 in Harrisburg. A freshman Republican state representative's opening prayer in the Pennsylvania House of Representatives is drawing complaints that it was inappropriately divisive. 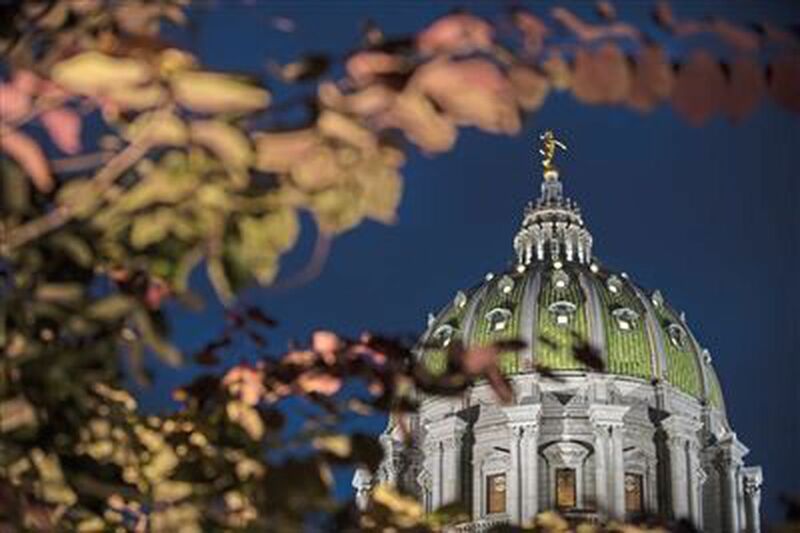 HARRISBURG, Pa. (AP) — A freshman Republican state representative's opening prayer in the Pennsylvania House of Representatives is drawing complaints that it was inappropriately divisive. Rep. Stephanie Borowicz began the day's session on Monday with a Christian invocation that thanked Jesus for the honor and President Donald Trump for standing "behind Israel unequivocally." She made her remarks shortly after a Muslim Democrat from Philadelphia was sworn in after winning a special election. Democratic Leader Frank Dermody called Borowicz's invocation "beneath the dignity of this House" and asked that a group be set up to review the procedure. Borowicz represents a Clinton County district and insists she did nothing wrong. Republican House Speaker Mike Turzai is currently appealing a federal judge’s decision that stopped his policy of preventing nonbelievers from giving the invocations. Movita Johnson-Harrell, a new Philadelphia representative who won a special election two weeks ago, was to be sworn in this afternoon on the Quran that belonged to her late son.